The DebitWay.com service does not collect, store or transmit any personal or card information during the transaction. Only the purchase details necessary to complete the transaction are passed over the Internet using industry standard encryption technology called Secure Socket Layer (SSL). The DebitWay.com service follows industry best practices for site and data security and requires all participants to do the same. DebitWay.com is committed to continue to provide safe, secure and reliable payment products and services To protect your business, your customers (cardholders), and the integrity of the payment system. DebitWay.com has in place a set of requirements governing the safekeeping of account information. These requirements affect the storage of cardholder information, reporting a security incident, and more. These efforts help every segment of the payment card industry - from business partners to financial services institutions - to law enforcement agencies globally. As part of DebitWay.com's ongoing provision of debit card processing services, we want to provide you with some critical information regarding the Payment Card Industry (PCI) Data Security Standard (DSS) and the Card Association Compliance Programs. DebitWay.com is pleased to announce that it continues to follow the required mandate and compliances with the Payment Card Industry (PCI) Data Security Standard (DSS). 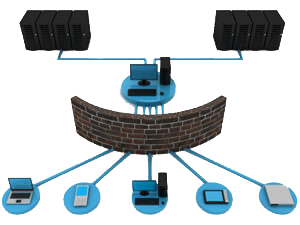 Additionally, our system is tested daily for all known vulnerabilities and is certified by Trust Wave. The PCI DSS is a multifaceted security standard that includes requirements for security management, policies, procedures, network architecture, software design and other critical protective measures. DebitWay.com continues to invests its focus and resources to keep you safe. We have made security a priority at DebitWay.com and will continue to maintain the highest standards the industry offers to ensure your protection. To learn more about Debitway.com's commitment and safe guard, please click on the links below. While on a secure page, such as our order form, the lock icon on the bottom of Web browsers such as Netscape Navigator and Microsoft Internet Explorer becomes locked, as opposed to un-locked, or open, when you are just 'surfing'. Debitway.com uses SSL encryption to protect sensitive information online, we also do everything in our power to protect user-information off-line. All of our users' information, not just the sensitive information mentioned above, is restricted in our offices. Only employees who need the information to perform a specific job (for example, our billing clerk or a customer service representative) are granted access to personally identifiable information. Furthermore, ALL employees are kept up-to-date on our security and privacy practices.